Groups volunteering at the Inn are essential to our ability to keep a small staff. Volunteering as a group is a great chance to make a difference in our community, an opportunity for team building and also gives individuals a chance to try out volunteering together with those you know. The Friendship Inn needs volunteers from 7:00am-3:00pm, 7 days each week. 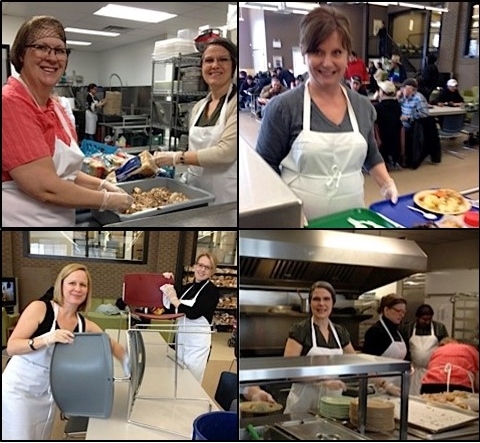 Groups often come to volunteer over the busy lunch service (11:30-1:30), or stay for a larger portion of the day. 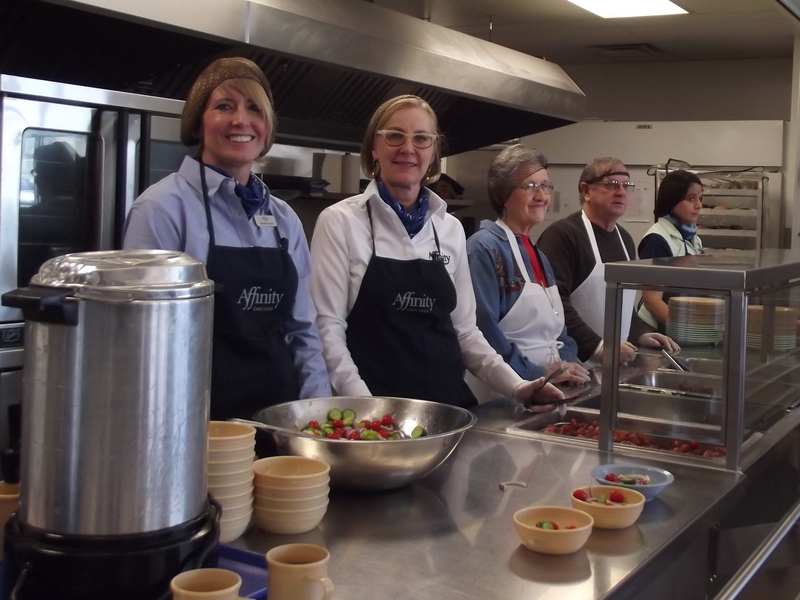 Groups will help with meal preparation, serving meals, clearing tables, cleaning, chatting with guests and other tasks. When volunteering as a group you do not need to worry about completing an application or criminal record check. Group volunteer opportunities are scheduled through the volunteer coordinator. Please call during business hours (Monday-Friday 7am-3pm) to arrange your group volunteer shift, or use the contact form on the right to inquire by email. For health and safety, the dress code for volunteering is: no open toed shoes, no sleeveless shirts, no short shorts. When you arrive we will provide you with the apron, gloves and hairnet that are needed. We would like to thank our regular monthly volunteers!